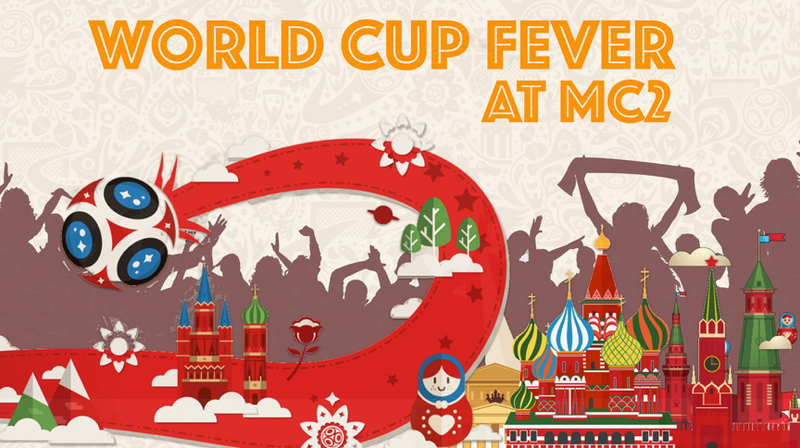 World Cup Fever at mc2 This June! Looking for solutions for balconies and outdoor blinds, indoor curtains, accordion doors, wallpapers, flooring, audio solutions? Check out mc2 which has been in the consumer retail business for more than 20 years, providing smart solutions to all its customers. This June, mc2 throwing in huge budgets to benefit its customers who correctly predict the winner for the World Cup this year! From now until 30 June 2018, all mc2 customers will stand to get 50% cashback for all purchases. This applies to every customer, who correctly guessed the winner, without any limits in amount to be given back in cash! Let mc2 know who you predict as the winner for World Cup in the comments to the giveaway post, and tag 3 or more friends in the same comment. So drop by mc2 today to save and win big!